Sime Koala Impact Drive Sprinkler is constructed with a heavy brass cast body, brass drive arm and brass lower turning union. 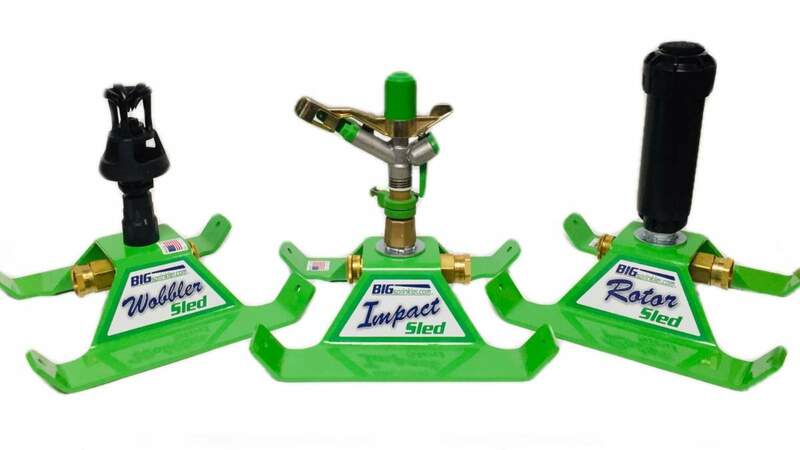 Features include adjustable stops for full or part circle coverage, an adjustable jet breaker for changes stream pattern and a quick change nozzle setup all supported by a 3/4" male standard pipe thread connection (3/4" female adapter also included). This model is great for general irrigation use and includes a set of nozzles included to accommodate 3 to 10 gallons per minute and up to 100 feet diameter coverage. The Sime Koala is the featured sprinkler head on our model 750K residential BigSprinkler Cart and our tripod with 3/4" part circle Koala sprinkler. These sprinklers may also be mounted stationary on riser pipes in a variety of settings for agriculture irrigation, nursery applications, dust control, and much more! You won't be able to compare the quality, performance and price of this brass sprinkler with any similar 3/4" base size brass sprinklers on the market! !